Composed by Herbert Howells (1892-1983). Music Sales America. 20th Century. Book Only. Novello & Co Ltd. #MUSNOV956549. Published by Novello & Co Ltd. (HL.14015546). 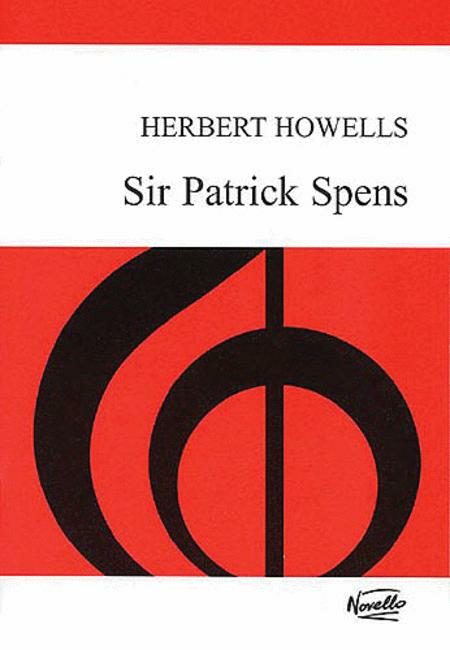 Herbert Howells first set the Scottish ballad Sir Patrick Spens for Baritone solo, choir and orchestra in 1917. The vocal score was published in 1928 and manuscripts of the full score have survived at the Royal College Of Music, London and the Bodleian Library, Oxford. The work went unheard for over sixty years and any performing materials were lost until the full score and parts were freshly engraved for a performance in 2006 by the Bach Choir Of London.Herbert Howells first set the Scottish ballad Sir Patrick Spens for Baritone solo, choir and orchestra in 1917. The vocal score was published in 1928 and manuscripts of the full score have survived at the Royal College Of Music, London and the Bodleian Library, Oxford. The work went unheard for over sixty years and any performing materials were lost until the full score and parts were freshly engraved for a performance in 2006 by the Bach Choir Of London.